After a successful day at the Farnborough Air Show where Sukhoi Civil Aircraft Company (SCAC) sold over 40 Superjet 100s, the Russian company said on Tuesday that it expects to control 15 percent of the world’s medium-haul airplane market by 2019. During the British air show, Sukhoi signed a letter of intent (LOI) with Orient Thai Airlines for 12 Superjet 100 (SSJ100) to be delivered from 2011 to 2014. 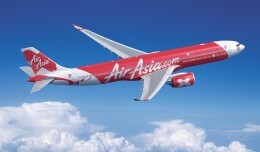 The new aircrafts will replace Orient Thai’s current fleet of MD-80, in order to strengthen the airline’s position in the Southeast Asian market and broaden its network. 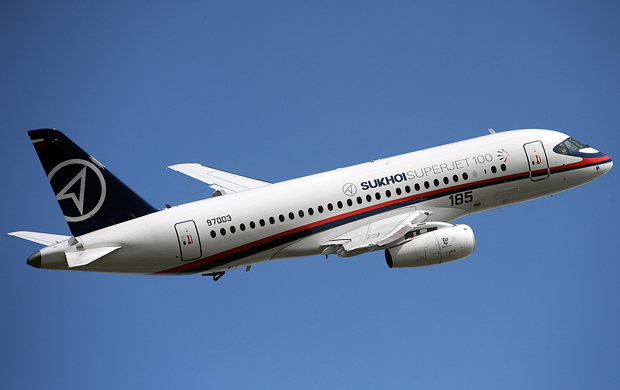 Sukhoi also announced on Monday a $951 million deal with Indonesian regional carrier Kartika Airline for 30 SSJ100s. The delivery schedule was planned for 2012-2015 and it confirms the rumors of Kartika’s intentions of purchasing Superjets 100. As a result, Sukhoi expects to sell up to 800 Superjet 100 planes worldwide in the next twenty years. Studies showed that the jet market demand for the next two decades will be around 6,000 aircraft, so Sukhoi’s intentions of controlling 15 percent of this market is a realistic and viable task. 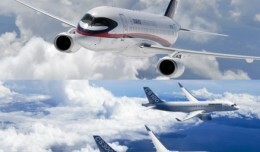 The Sukhoi Superjet 100 is the company’s first major project. 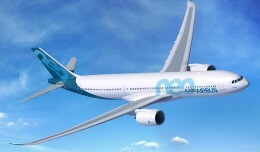 It is part of a family of medium-haul passenger aircraft developed by Sukhoi in collaboration with U.S. and European aviation companies. 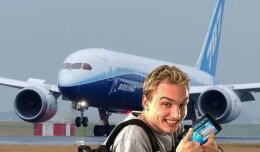 Dell Computer scion Michael Dell is a Boeing 787 Dreamliner customer, and no stranger to battery fires. Can't the Russians build anything original??? Embraer should sue them for copying their ERJ170/175/190 planes! !